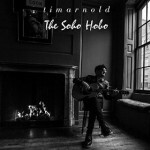 Share the post "Album review: TIM ARNOLD – The Soho Hobo"
Tim Arnold has been a champion of Soho and created the alter ego the Soho Hobo. He has also released twelve self-titled albums to date and helps lead the Save Soho campaign with Stephen Fry and Benedict Cumberbatch. This is a musical delight, taking in many musical styles all held together by the Soho theme. The album even gives the listener a history lesson on the origins of Soho in the opening song ‘The Hunter And The Hunted’, with Peter Straker (best known for his appearances inDr Who) narrating. ‘Soho Heroes’ name checks the famous from Soho like Shelley, Jeffrey Barnard, Peter Cook and many more, with actors and actresses taking on the voices of the famous. ‘Ain’t Made To Measure’ is a great tune, featuring Phil Daniels and the song tells the tail of the Soho tailors, Daniels adding in the local accent for extra effect. There is a great romp through ‘The Piccadilly Trot’, a musical hall classic from 1912 and originally performed by Marie Lloyd. A little more musical hall meets jazz on ‘Fanlight Fanny’ (written by amongst others George Formby), which has the great line ‘Now she’s a peach but understand. She’s called a peach because she’s always canned’. There are a couple of lovely duets on here, ‘ Soho Sunset’ with Jessie Wallace guesting on vocals and Lisa Moorish guests on ‘The Bells of St Anne’s’. Both guest vocalists complement Arnold’s vocals and songs to a tee. This entry was posted in ALBUM REVIEWS, ALBUM REVIEWS (Mobile), All Posts and tagged album, Phil Daniels, review, singer, songwriter, the Soho Hobo, Tim Arnold. Bookmark the permalink.